BauerGården offers a modern parking space for motorhomes. In the community Bunn near the lakes Bunn and Ören lies our exclusive parking space with space for about 90 motorhomes. This includes everything from barbecue areas, beach and sauna, but also electricity, WiFi and Canal Digital’s TV selection. Also toilet / shower / kitchenette / washing machine and drainage station for toilet and gray water. 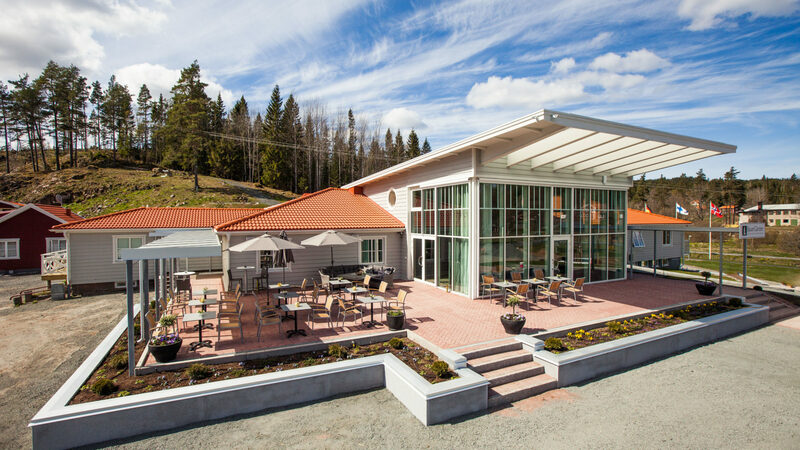 Next to the parking we have our beautiful restaurant and hotel where you can have a good meal. BauerGården is situated in the middle of “John-Bauer-land” and the well-known painter’s “magical” environments which we pick up in our menus and in our beautiful hotel. From BauerGården you enjoy a fantastic view, where every season has its charm.